Twitch has happened since I last properly updated the blog. Every complete story from TV's Dr Who (except some) is being streamed by the popular gaming interweb site. 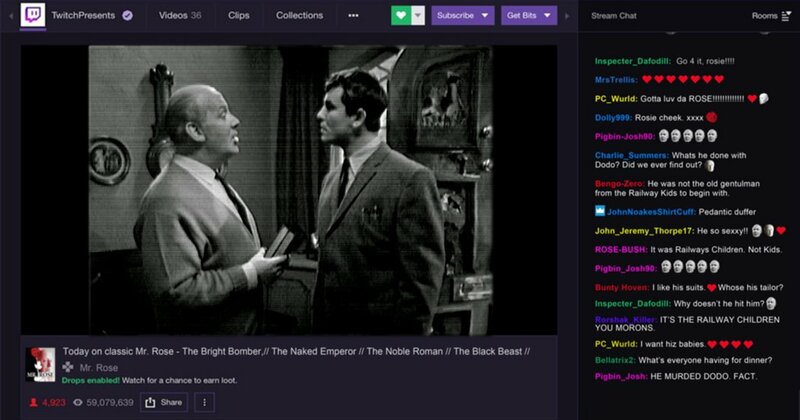 Being a fifty-four year old, I had never heard of Twitch... but it's apparently very popular with the youngsters who like watching other youngsters playing video games and making comments about their performance. It's a bit like when you're playing on the Penny Drops machine at the arcade with someone is looking over your shoulder and suggesting better tactics for winning, I suppose. Anyhow, many of the excitable young folk are now experiencing old Doctor Who episodes for the first time. As such, their comments are a real eye-opener. It seems they don't mind watching black and white programmes. And Ian and Barbara's subtle relationship is one of the early episodes' highlights for them. There's a trailer that runs in between each episode (sometimes repeated several times) which features a myriad of clips and soundbites. One of these is the shot of Ian Chesterton arriving back on Earth at the end of The Chase and exclaiming "London. 1965!". 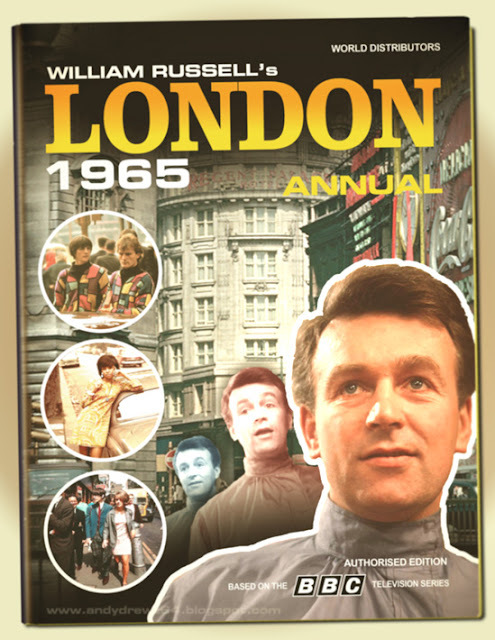 The phrase "London 1965" has rapidly become the trademark meme of the Twitch event. It's even one of the headlines on the front cover of the current Doctor Who magazine. 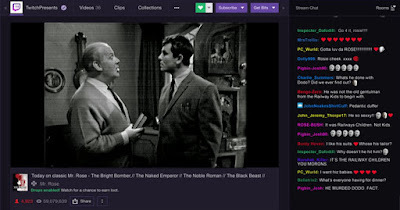 With the success of the Twitch Doctor Who marathon, are the gates are now open to other classic TV shows getting the same treatment?